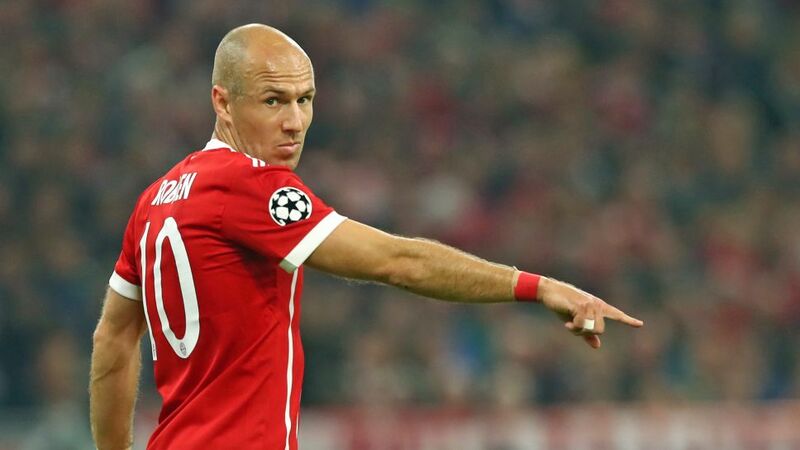 Bundesliga | Bayern Munich's Arjen Robben: "100 games in the Champions League is special"
Bayern Munich's Arjen Robben: "100 games in the Champions League is special"
He might not have been able to crown his 100th UEFA Champions League appearance with a goal, but it was a fine personal display from Arjen Robben nonetheless - including an assist for Mats Hummels to make it 3-0 - as Bayern Munich eased past Celtic on Matchday 3. Question: Arjen Robben, congratulations on your 100th game in the UEFA Champions League. Did the milestone figure in your pre-match thinking, or was it just a game like any other? Arjen Robben: I knew about it beforehand. I've received some messages from friends: 100 games in the Champions League is special, but I didn't prepare for the game any differently. As a team, the plan was to put in another good performance and build on Saturday's win [against Freiburg]. I think we managed that. Watch: Bayern ran out 5-0 victors against Freiburg last weekend! Question: Jupp Heynckes has spoken about his three essential elements: hierarchy, tactics and fitness. Have any of these already been achieved? Robben: We're on the right track, but you can't over-exaggerate things after two games. The coach makes it very clear what he wants to see. As players we all know whom we have in charge and what he demands from the team and individuals. We then need to put that into practice on the field. We've already improved a few things, but there's still room for improvement. We can't allow ourselves to be happy – we need to continue in this manner. Question: With one eye on upcoming games against RB Leipzig and Borussia Dortmund, rotation could be a factor soon. Would you mind too much if you were rested at the weekend against Hamburg? Robben: I might not be the youngest any more, but I feel fit at the moment. When you're fit you always want to play in order to stay in the groove. That's one of the strengths of this team, though: we have a lot of quality, although we also still need to be playing together. Too much rotation sometimes isn't the best idea, but at the end of the day the coach will take the decision. If you want to be successful, then you need every player and the coach will take the right decision. Robben: I'm always honest. When it's good, it's good; when it's not, you have to be able to say so. You notice it within the team when we're happy with the performance. At that time that wasn't the case and although we won today, there are still things to discuss, such as the chances we gave them late on. We could also be scoring more goals, but generally we're on an upward curve. Question: Heynckes has also brought in new rules regarding punctuality and discipline. How important are they? Robben: You always need a certain level of discipline, as the players who worked with him four or five years ago know. There's not much new, but it's still a little bit different. Whenever a new coach comes in there are changes on and off the pitch. Question: Heynckes places a lot of emphasis on defending, and you yourself were tracking back and drew applause for one slide-tackle in the first half. With regards to your defensive duties, how has your role changed under the new coach? Robben: We all work together going forwards and at the back. Putting in the hard yards defensively is part of that. My strengths – and those of the other attackers – of course lie further up the field, but we need a level of stability for our structure. I told the coach that if he needs a right-back, he knows where to find me!